I wish I could have posted this two weeks ago, but such is life. I will have almost one week of a fully decorated house and presents bought, which means it's finally time to rest...and wrap presents. The wrapping is what gets me every year. But, at least my house is ready! Let's start with the front door. I knew I wanted to frame the doorway with garland. 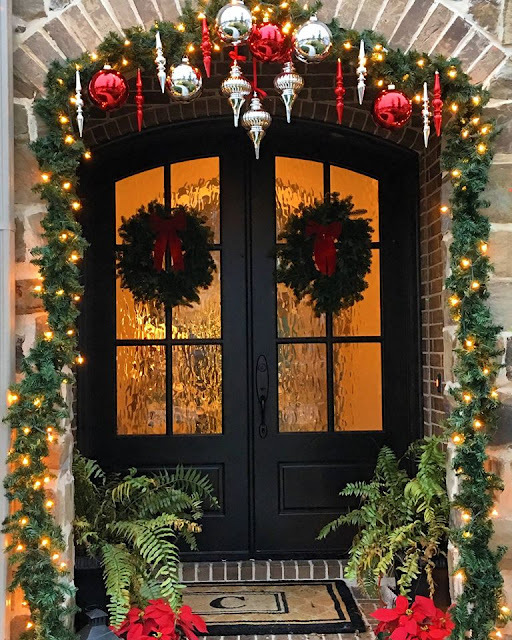 I had bought real wreaths for the front doors and was irritated with the needles everywhere so I decided to get inexpensive garland and tripled it to look fuller. 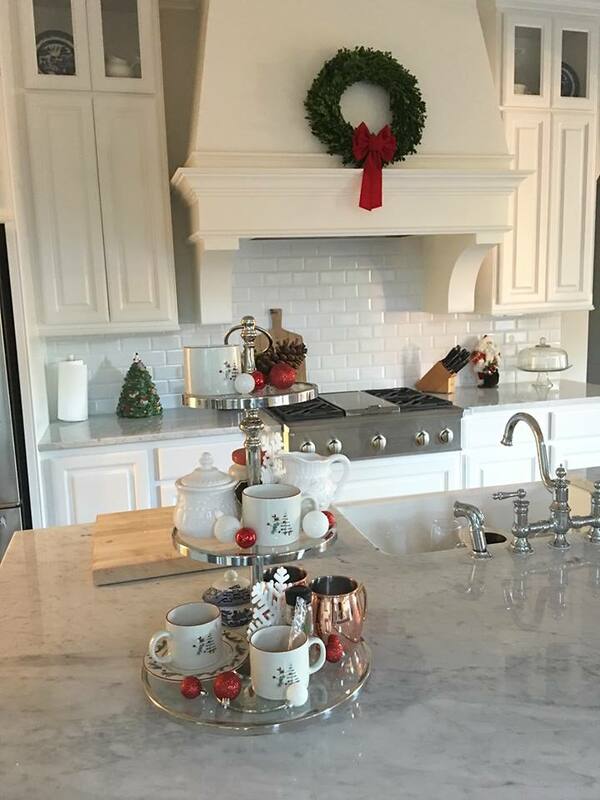 I used a combination of new and previous year's ornaments to create this look. I had 30 minutes from the time I got off work until the kids got off the bus to get it all together. 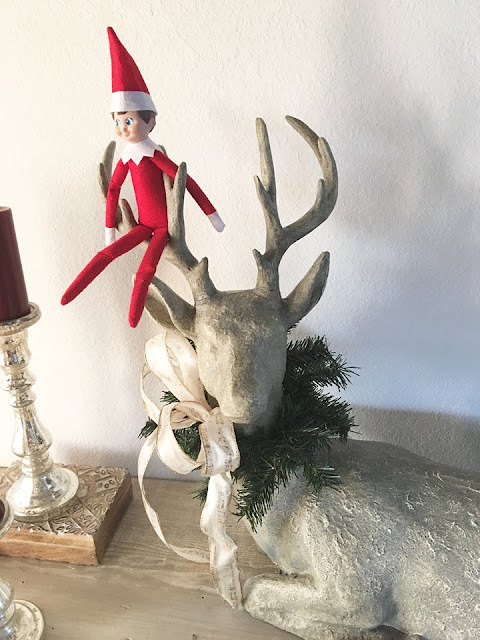 My 7 year old had asked me to use more red in our Christmas décor and I bought these red ornaments without thinking about where I was going to use them. I was just finishing up when he walked up the driveway and told me,"It looks so beautiful!" It doesn't get much better than that! 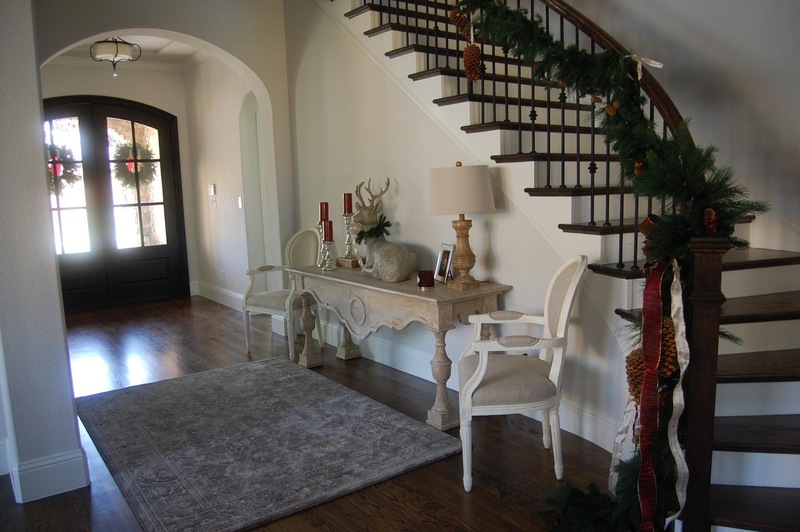 The foyer with my giant reindeer lounging on the entry table. Our elf, Jingle, found a new friend. The dining room with the new china cabinet. 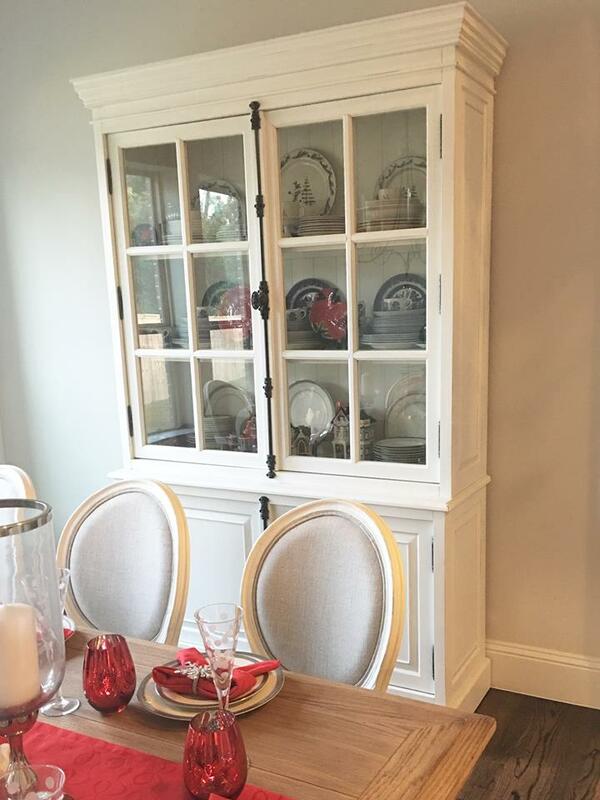 I had plans for built-ins on this wall for wine storage, but I got antsy and decided to buy a cabinet instead. The price was really good in comparison to what a wall of custom cabinetry would cost, too. It's amazing how much furniture this room can fit. There's still more than enough room to pull out the chairs. There's only a few things left to do before I can call it done-a new chandelier, accessories, and window treatments. 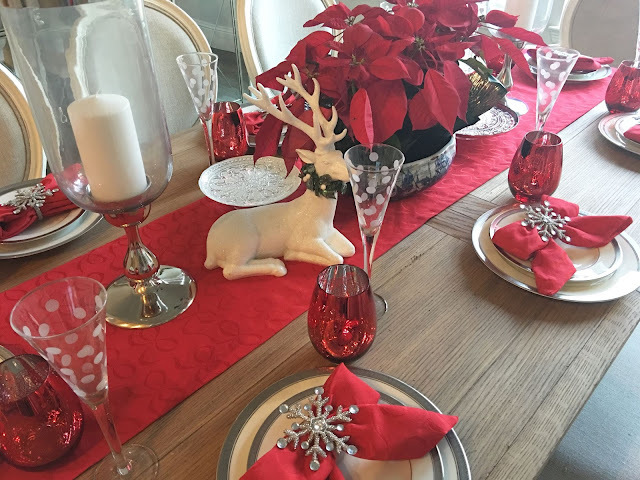 I went with traditional red in here this year because I found the Kate Spade runner at TJ Maxx for such a good deal. I had just looked at it the day before at a department store so I was thrilled. Unfortunately, they didn't have the matching napkins so I had to buy those at regular price. 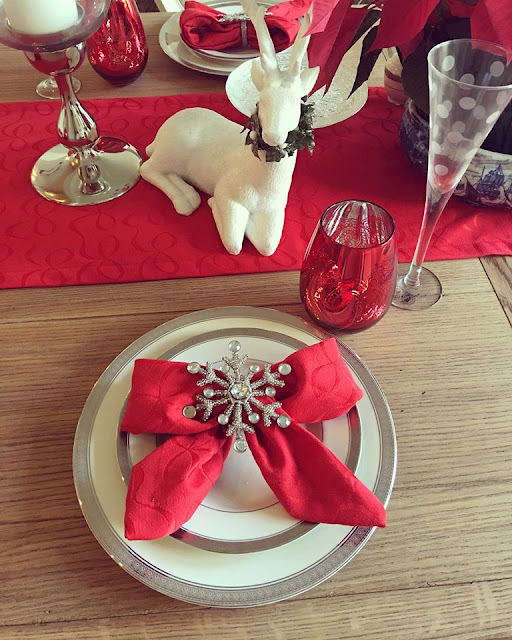 I wanted to do something a little different with the napkins and found a great tutorial on pinterest to fold them into bows. It's perfect because the napkins and runner also have a bow embossed on it. This year we're going to have a Christmas brunch and the dotted glasses are for mimosas. I found the red stemless glasses at Homegoods and I like how versatile they are. I can use them as water glasses or as wine glasses for future holidays. The living room is much more neutral. 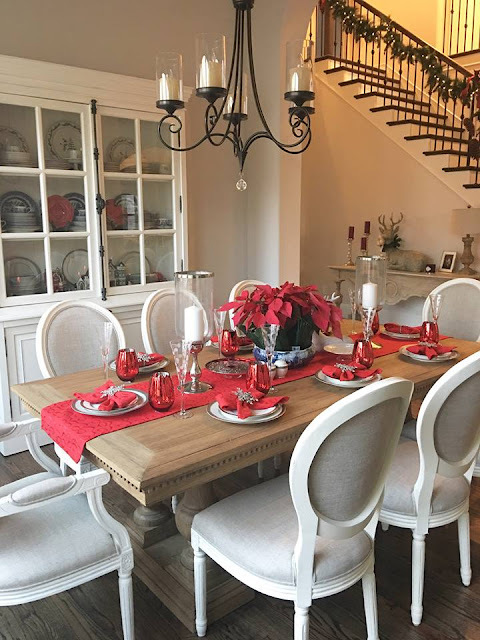 The red in the dining room is nice, but it would drive me crazy if I had to look at it all day. 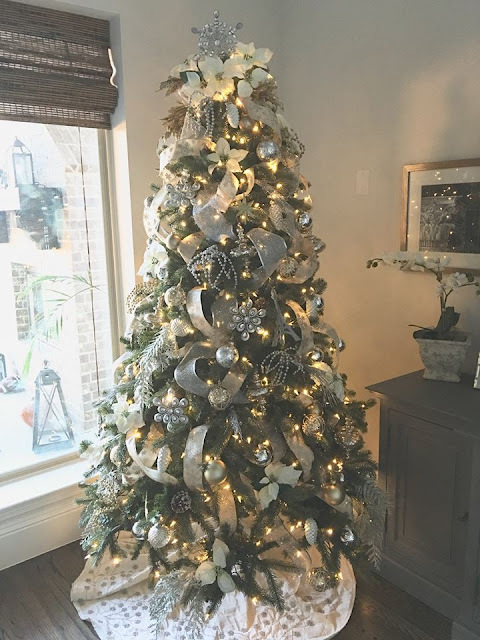 The tree is silver, gold and cream to match the rest of the room. 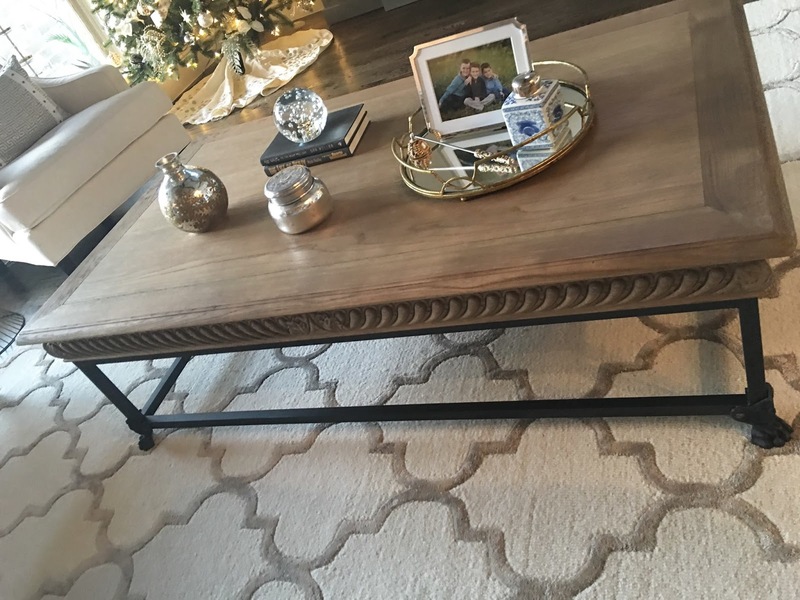 And you might notice my new coffee table is here! I've needed a new table for so many years because the other one has been through three rough toddler/preschoolers. I thought I was going to buy a gold table with a stone top, but that one was too small for the space. 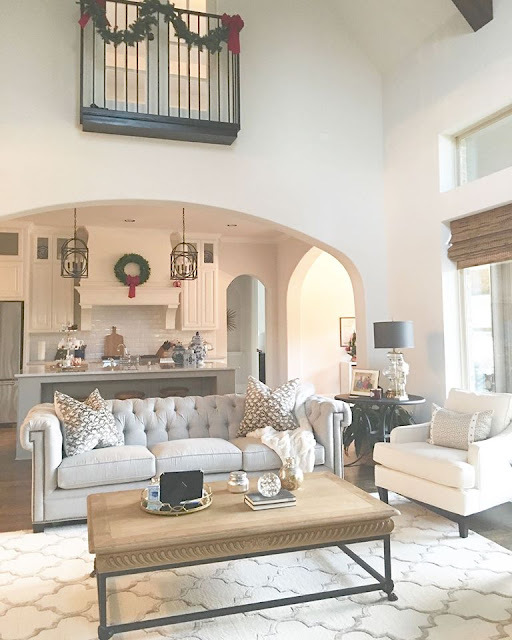 I also decided to keep the cream rug in here indefinitely even though I initially bought it for the dining room and that changed my plan, too. 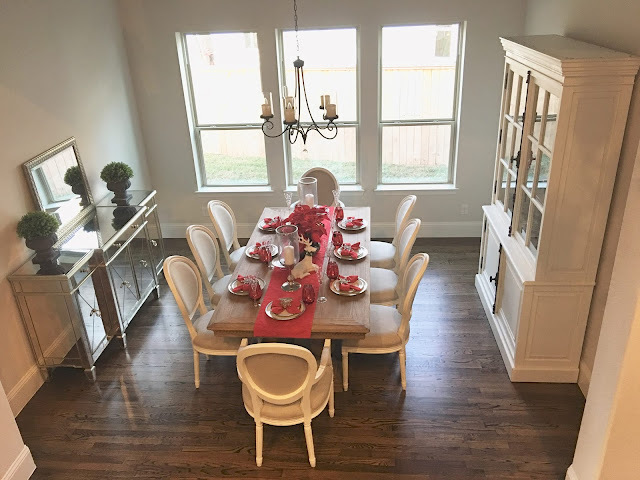 I needed more contrast and decided a natural wood gives me that and also ties in the kitchen and breakfast room natural wood colors. Here's a closer look. The carved edges and black iron legs with claw feet keep it from looking too rustic. 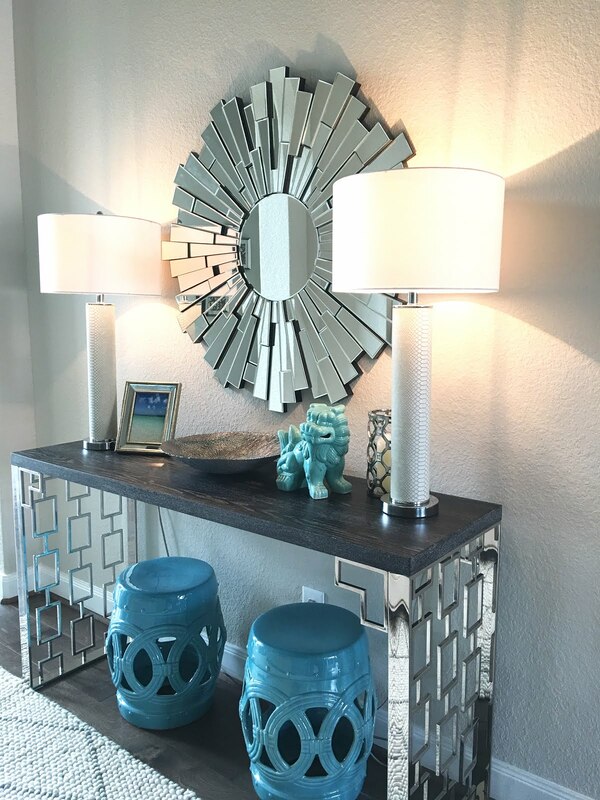 I grabbed a few décor items from the rest of the room to put on it until I can go shopping for larger scale items. I moved the tree to the corner by the TV. It was interesting moving a fully decorated tree, but I did it by putting my fingertips under the feet so it wouldn't scratch the floor as I dragged it. Surprisingly, it was relatively easy and no ornaments were broken. I only bought a few new ornaments this year. 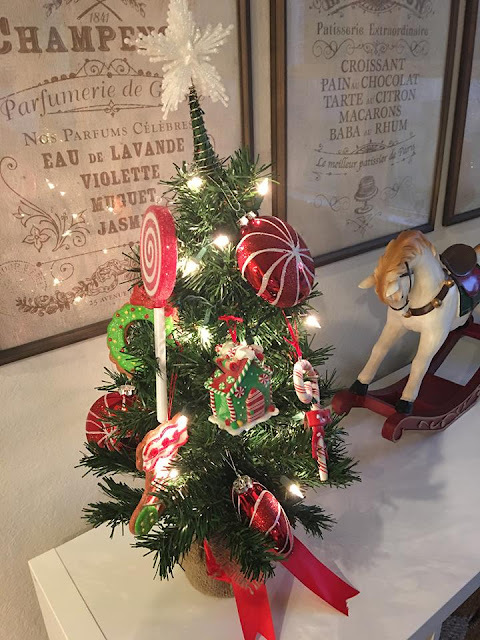 My tree appears to be different every year, but it's really just because I change the ribbon. 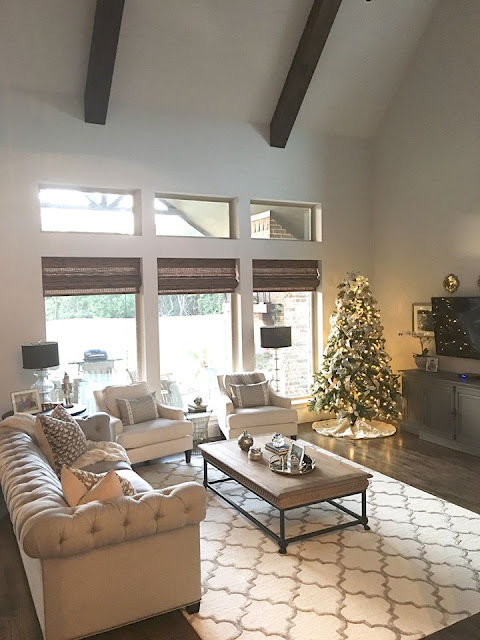 I'd love a taller and thinner tree so I could fit in next to the fireplace, but changing everything up for a new house at once was a little too much for me this year. Maybe next year. I kept the mantel simple and instead of string lights I added LED candles. I especially love the look at night. I added real greenery to the faux magnolia garland as well as red berry picks. I needed a touch of red to match the stockings I have yet to add. It's a little crowded with five stockings on the mantel. I'm thinking about just putting out the kids stockings this year instead. Santa usually just gives us chocolate that we don't need anyway! 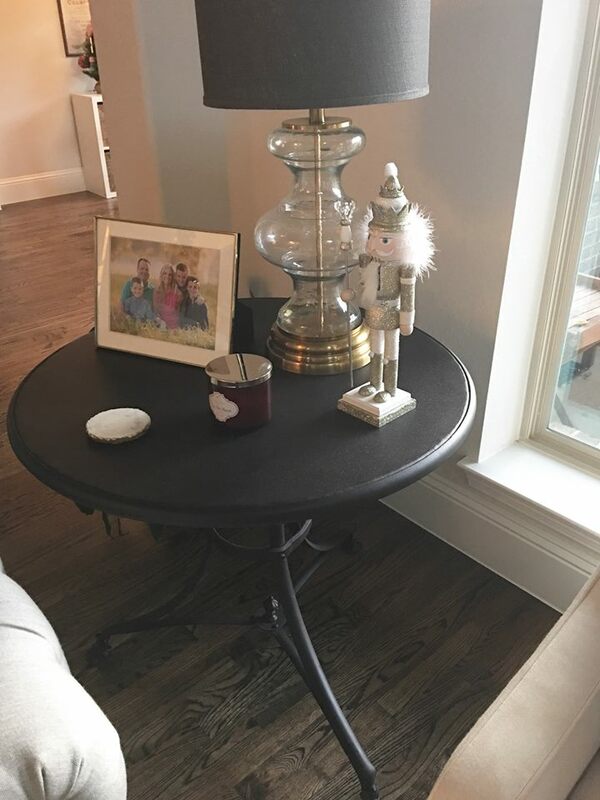 I also bought a new end table. It also has claw feet to match the coffee table. I love the bigger size, which I really needed for this corner. Much better view this direction! 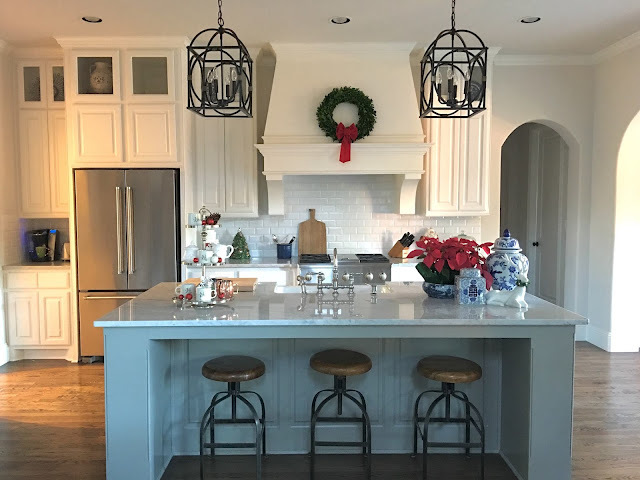 I've shown you most of the kitchen, but here are a few pics to recap. 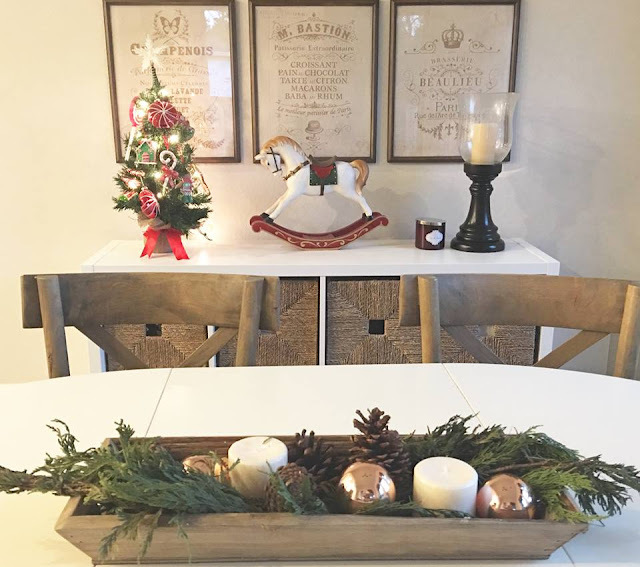 I did move the poinsettias and reindeer to the dining room. 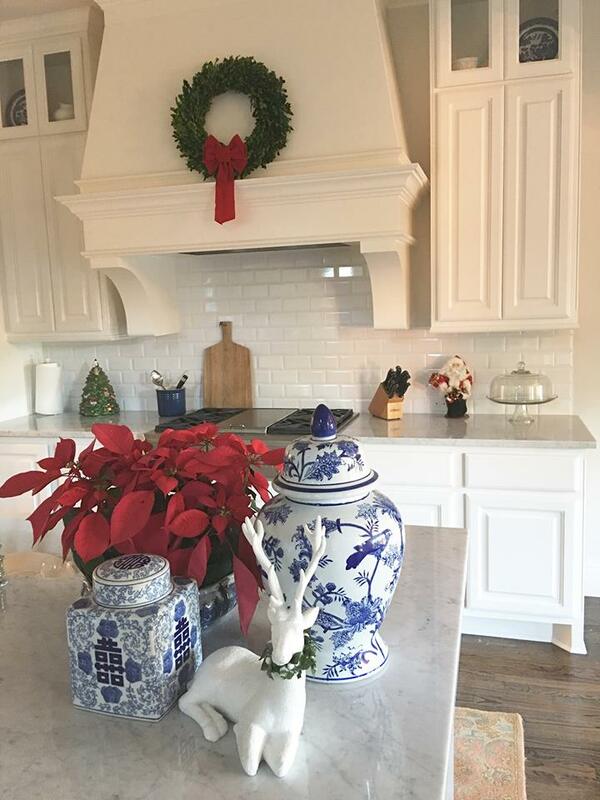 I was nervous about the red flowers staining the marble after seeing one that fell stain the floor. Thankfully, the magic eraser got that out. 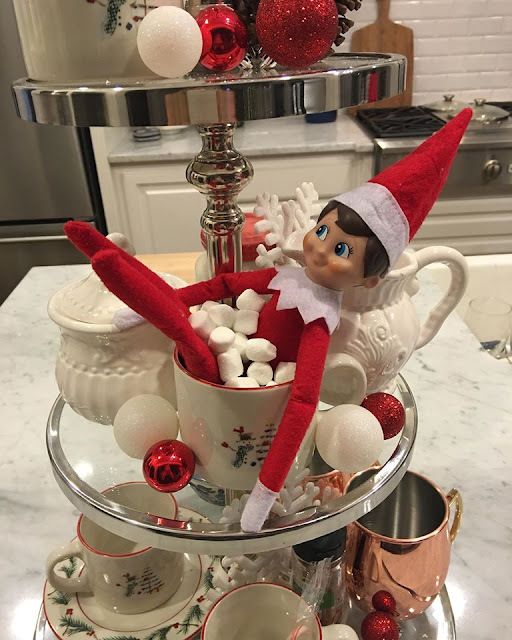 Our silly elf enjoying his marshmallow bubble bath. The breakfast room hasn't been shown much love, but I'm slowly adding some details to it. Last night we hung up a new chandelier I'll show you soon. 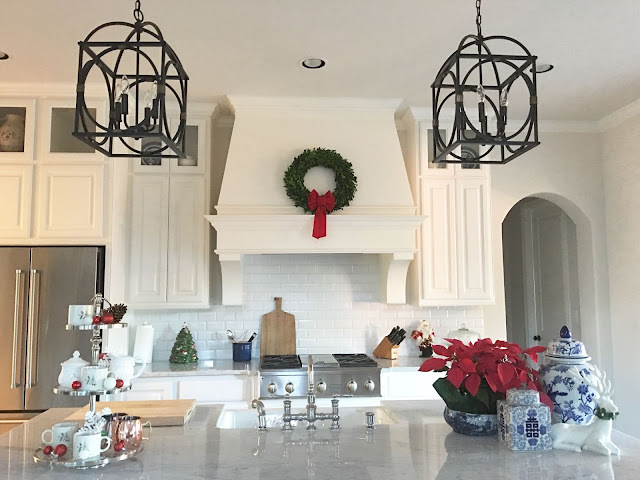 It still needs a lot of work, but the Christmas décor makes it better. I love my candy tree! The boys each got one of these to put in their rooms to decorate. 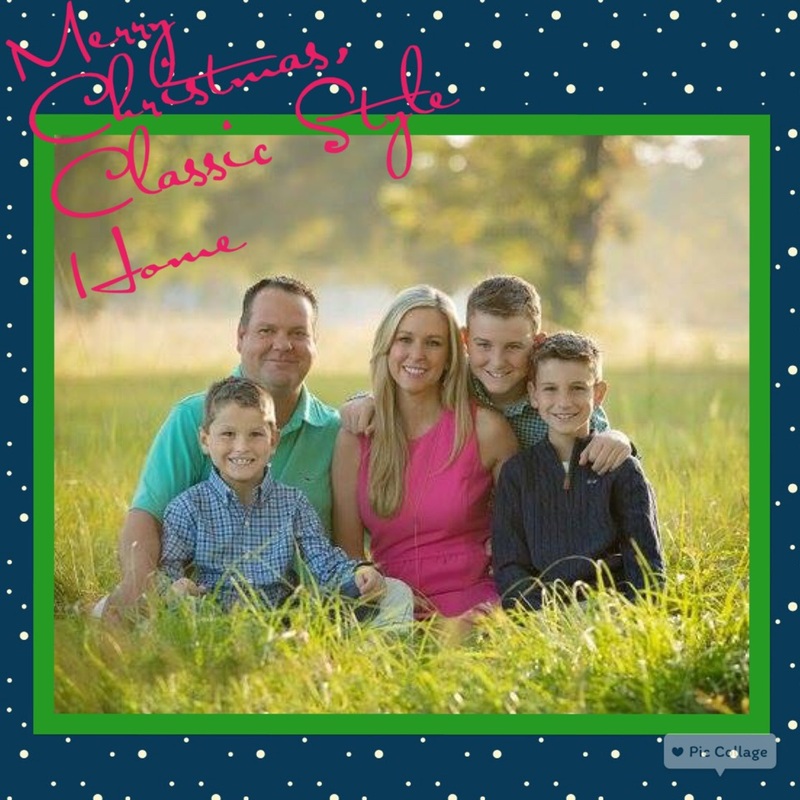 They chose colored lights and all of their favorite ornaments. I guess that makes up for the silver and gold tree in the living room! We recently had our family pictures taken. I wanted something season-less since we don't get them done that often. You can really make a Christmas card out of any picture though, so here it is! And I can't leave Mario out! This is from last year, but I still laugh every time I see it. 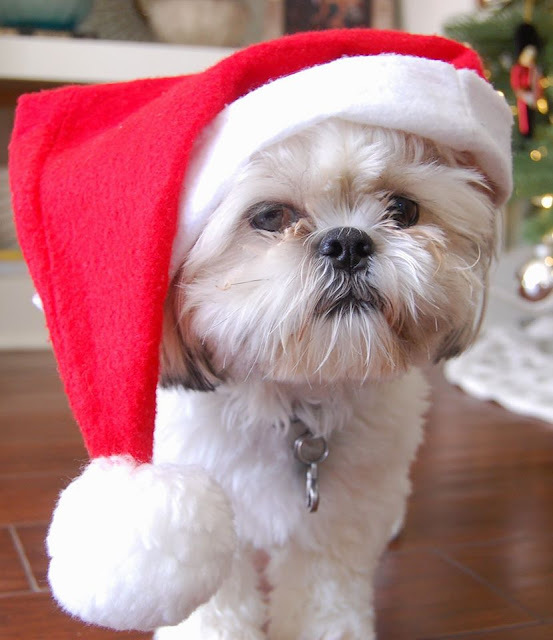 Now, it's time to wrap up those presents! 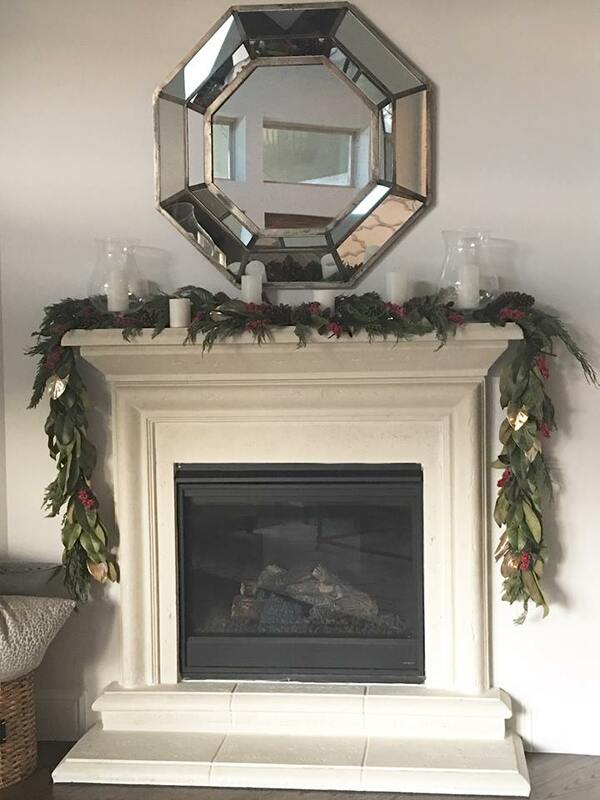 Where did you get your electric wall fireplace ? I have been looking of one !!! Your home looks Magical !!! 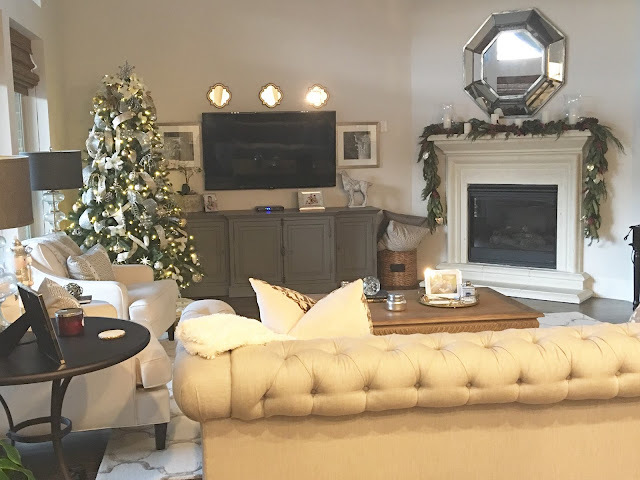 All of your Christmas touches are gorgeous, and the house is coming together beautifully!